This is the one that started it all! 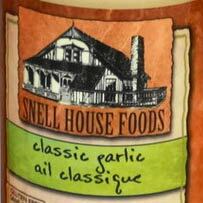 Our signature Classic Garlic salad dressing is thick and creamy and an instant hit with anyone who tries it. 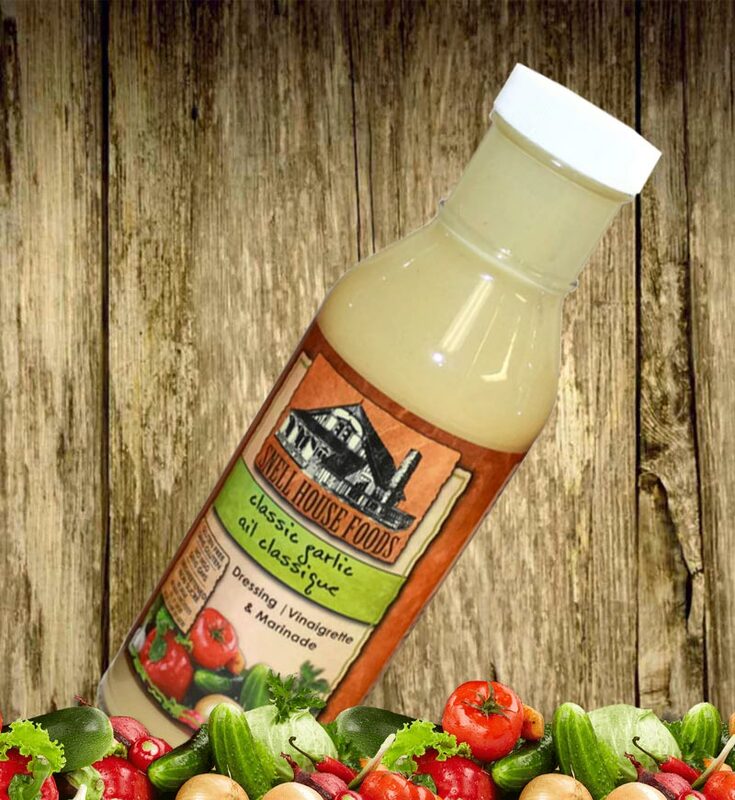 While it is ideal on salads and raw vegetables its real garlic bite goes great on chicken, pork and fish, steamed vegetables, pasta, rice and roasted potatoes. This dressing is probably most famous as “the one the kids love” or “the one that makes kids eat vegetables.” It’s made with fresh squeezed lemon juice, fresh garlic and lots of love. A great Ceasar flavour without dairy, meat or fish products. Sunflower oil, distilled white vinegar, granulated garlic, egg yolk, fresh garlic, sea salt, fresh lemon juice, granulated onion, mustard powder, herbs and spices. Not a significant source of / Source négligeable de vitamin A, vitamin C, calcium, or iron. Join our mailing list to receive the latest news and timely recipies.